Why a talking clock? Memory loss is something that you don't want to think can happen to you. The thought of not being able to recall the names and faces of loved ones can seem almost unimaginable. However, it does happen to millions of people. 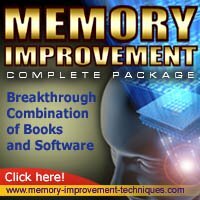 There are various gadgets and objects that are designed to help people increase their memories.There are memory games that people can play, and there are very intricate, scientific tests that can be run to help people with their memories. There are many different things that can make a person lose their memory. Alzheimer's disease, stroke and dementia are just a few of the illnesses that can cause memory loss. Age and sudden trauma are also a cause loss of memory. Whatever the reason for the loss, it does not have to be the end of a happy life. Simple mechanisms can help people fight the battle of losing their memory. The speaking clock is a great device for patients that may suffer not from only blindness, but from memory loss, as well. The clock can be a discreet way to help people remember everyday tasks and responsibilities. You can use the built-in microphone to record messages and remind yourself of tasks. Many of the clocks can give you up to six settings for recordings on the alarm, and you can have the clock set to remind you of your tasks at different times throughout the day. You may need to remember anything from eating at a certain time to taking your medication at a certain time. This clock will not only help you remember your tasks, but also the time that each task needs to be completed. Since the clock uses your own personal voice, it is even more helpful for those that may be having a hard time recognizing other people's voices. There are many different devices that can help people combat memory loss. The verbal clock is a device that does more than just give you the time. The talking clock helps people with memory loss problems remember the things that are important to them, and it can help you remember appointments or everyday jobs. The clock can let you record the things that you need to remember to get through your day. Losing one's memory does not have to mean the end of the world. It could just be the start to a new way of living.